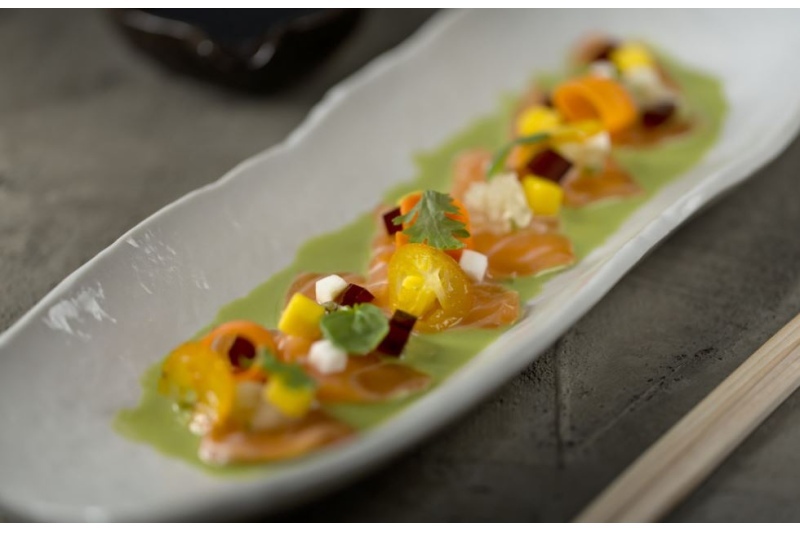 A fusion of traditional Japanese aesthetics and comforting South American flavors, Nobu is a bucket list destination for sushi enthusiasts the world over. 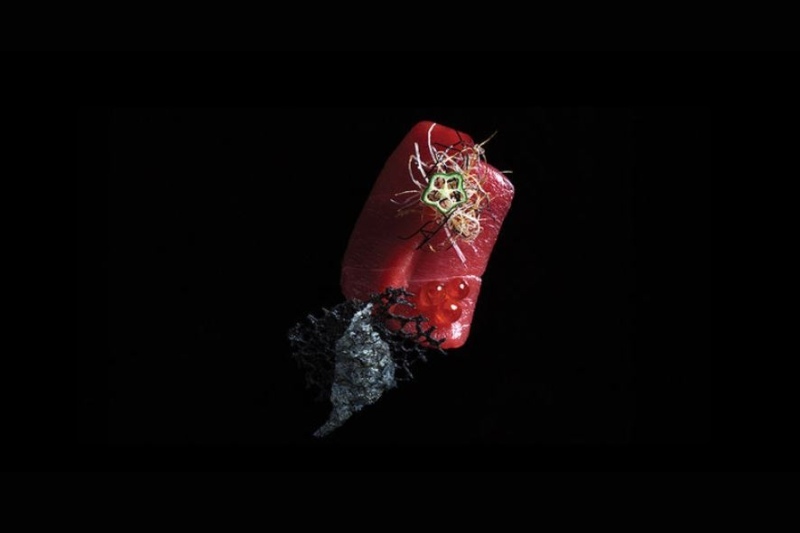 Featuring a striking menu inspired by celebrity chef, Nobu Matsuhisa, it offers a perception-shifting culinary experience. Slip into your glammest garb and make some priceless memories over the renowned miso black cod and sake. 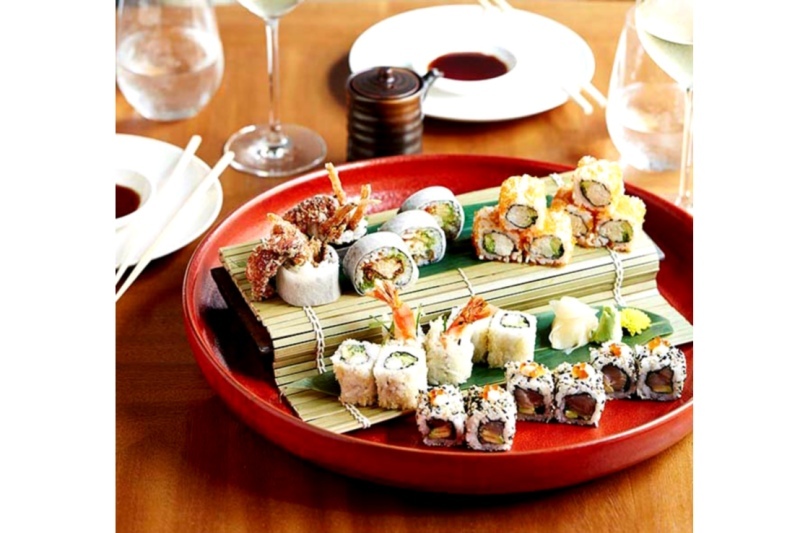 MenuPages.ae recommends: “Nobu style” sushi platter and the deluxe sushi roll. Good to know: Nobu hosts a highly sought-after Monday ladies' night and Friday brunch. Toko is a casual social hub designed for intimate gatherings over Asian street food. In addition to its special duck that's prepared using a recipe exclusive to the restaurant, it also has a delish sushi offering. Enjoy freshly prepared sushi at its famous outdoor terrace while soaking up the atmosphere and beats. 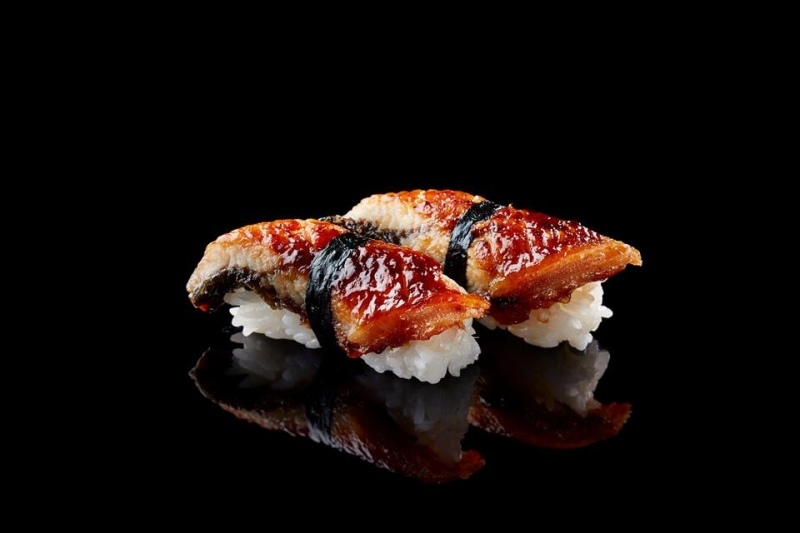 Black cod chasers, Toko is known to rustle up an exquisite miso black cod. MenuPages.ae recommends: Crunchy wagyu maki and smoked eel nigiri. 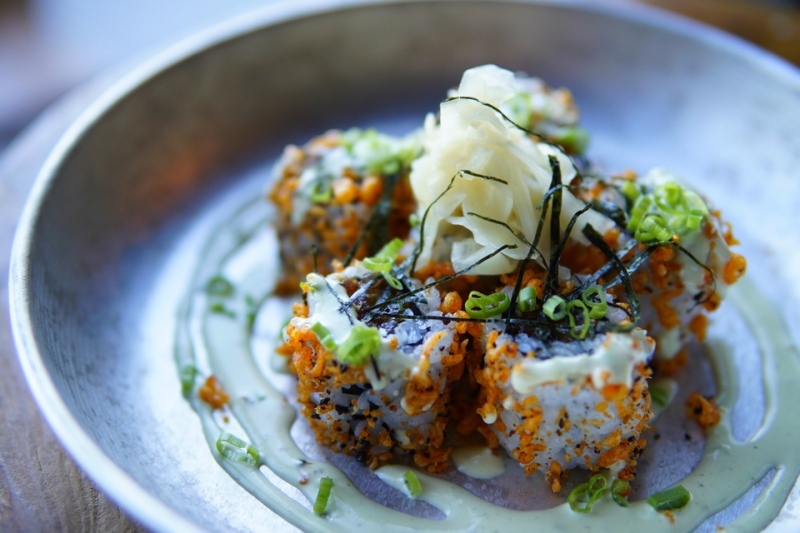 Good to know: Toko offers a few vegetarian sushi options for plant-based guests. 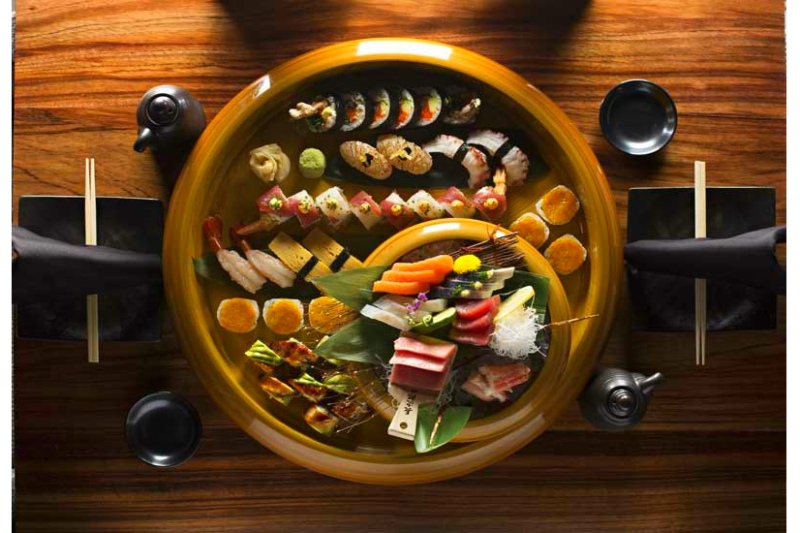 Like Nobu, Katana is another sushi destination loved by gourmands and celebrities alike. The award-winning restaurant dishes out bespoke eats with a side of glittering Burj Khalifa views. In addition to sushi prepared with only the finest ingredients, its shelves also boast 14 prime sake labels. For dinner and a show fired up by its robatayaki, head down to Katana. MenuPages.ae recommends: Katana sushi roll and octopus sushi. Good to know: “Robata” in Japan means cooking using an open flame. An izakaya is the Japanese version of an English pub or American tavern. It's often a dimly lit watering hole where you can find wallet-friendly drinks and comfort food. Borrowing from this concept, Izakaya serves up Japanese classics with a side of striking neon light. Keep your eyes peeled for Wasabi Girl, a green-haired pixie that floats around the restaurant topping up your meal with freshly prepared wasabi and perhaps even reading your fortune while you eat. MenuPages.ae recommends: Sea urchin nigiri and the wagyu kinoko roll. Good to know: Izakaya features a live cooking station. Lauded as a hidden gem in Dubai, 3 Fils is a quaint eatery at Jumeirah Beach Harbor. Serving unbelievably fresh seafood straight from the sea at its doorstep, it's the brainchild of two Emiratis and a Singaporean. Lap up the gentle sea breeze while tucking into its array of comfort dishes like sushi rolls, karak ice cream, Indomie noodles, and much more! MenuPages.ae recommends: Volcano sushi and the spicy tuna roll. Good to know: 3 Fils sources its fresh blue-fin tuna from Tsukiji fish market in Japan. 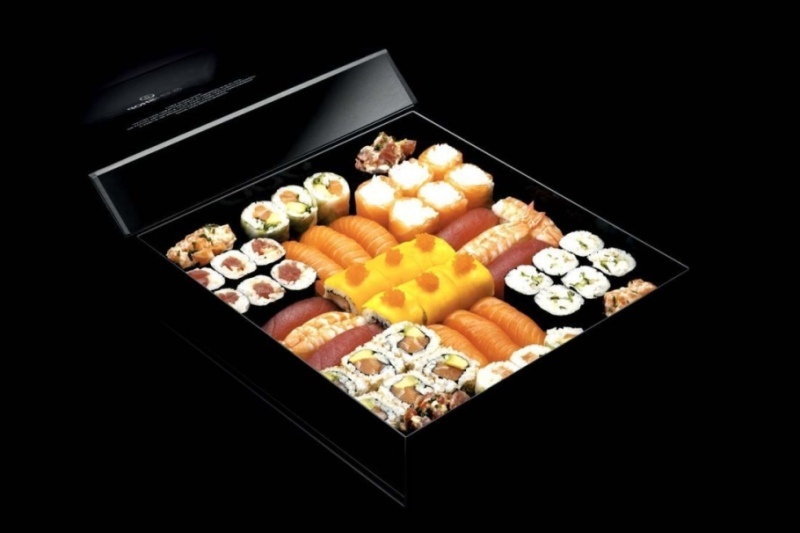 Sushi Art redefines the art of home delivery. Creating gorgeously curated lunch and dinner boxes, the restaurant offers customers a variety of combinations and prices. Choose from a diverse range of sushi and maki rolls, chirashi and poke bowls, ceviche and tartare, sashimi and tataki, and desserts. Never compromising on flavor or freshness, its menu is perfect for the urban diner. MenuPages.ae recommends: Teriyaki salmon sushi and the chicken katsu sushi roll. Good to know: In addition to home delivery, Sushi Art also offers the option to dine in. 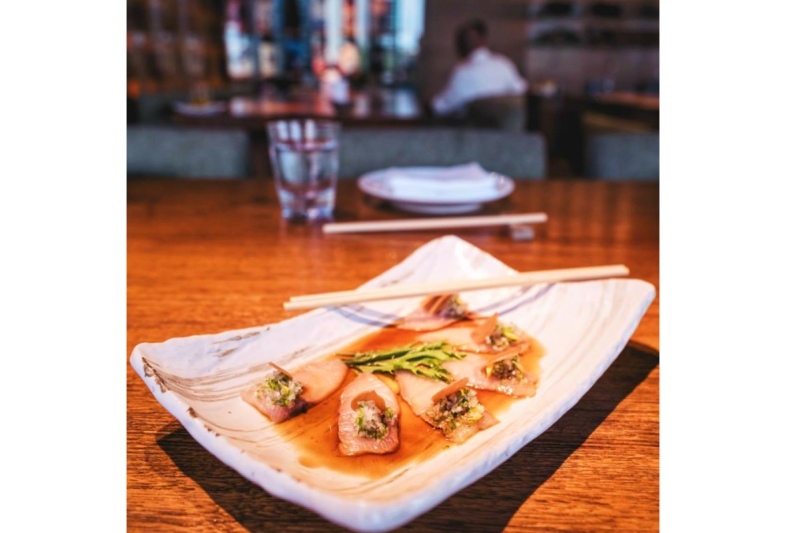 A stunning combination of visual and culinary fodder, Katsuya by Starck caters classic Japanese delicacies tailored to the local palate. Yet another thriving addition to Dubai's buzzing nightlife scene, it's the ideal place to socialize and be seen. A destination for sushi and design enthusiasts alike, Katsuya by Starck is ideal for a first date or a night out with tourist friends or family. 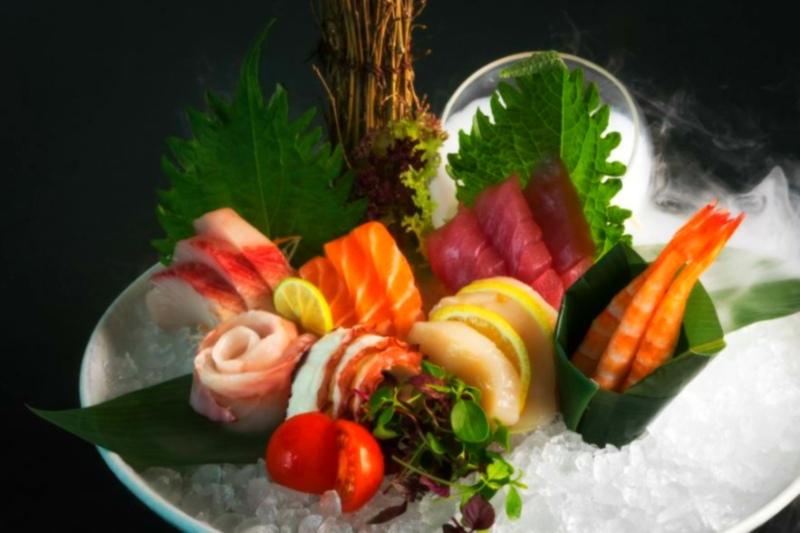 MenuPages.ae recommends: Yellowtail sashimi and the chirashi sushi platter. Good to know: In an interview, chef and sushi master Katsuya, revealed that the spicy albacore sashimi with crispy onion was an instant hit when it was introduced on the menu. If Zuma was any hotter, it would be on fire. One of the shiniest gems in Dubai's culinary crown, this restaurant attracts local and international foodies alike. Featuring intimate izakaya interiors, Zuma is the perfect venue to celebrate a milestone moment over a sushi feast. 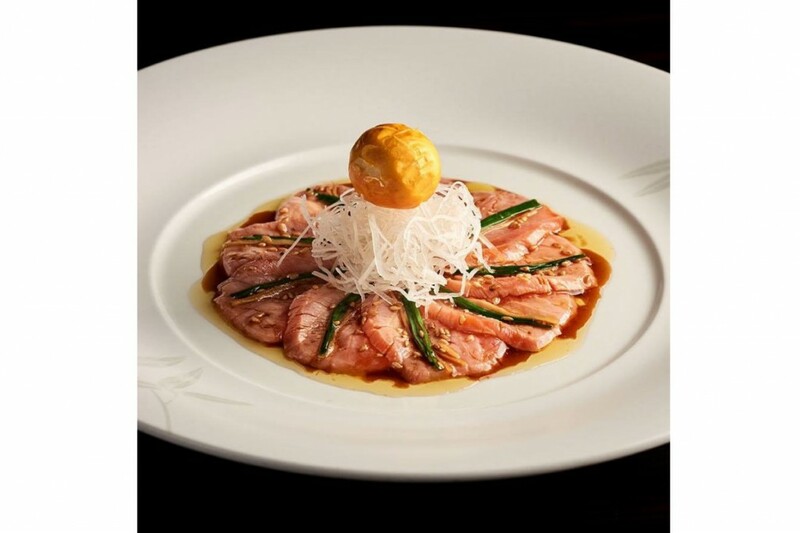 Exceptionally fresh and flavorsome Japanese delicacies served with a side of cutting-edge service. MenuPages.ae recommends: Wagyu gunkan caviar nose maki and the dynamite spider roll. Good to know: Zuma's interiors are meticulously designed to balance the six elements of fire, earth, water, air, wood, and iron to achieve harmony. Serving up regionally-loved food for 15+ years, Sumo Sushi has mastered the art of everyday sushi. Featuring a scrumptious menu loaded with favorites like bento boxes, sushi rolls, and ramen bowls – this is the place to hit for midweek sushi cravings. With fun menu items the sushi sandwich and kid's sushi bento, it's a family-friendly restaurant with heaps of personality. MenuPages.ae recommends: Samurai sushi, sushi sandwich, and the Crazy 8. Good to know: Join Kenji's Kids Club at Sumo Sushi. Junior sushi lovers aged 12 and under enjoy a kid's meal on the house every Sunday with each adult main course. Fusing flavors from Far Asia, Mediterranean, South America – The Lounge Dubai is the epitome of lavish dining. Crafted by a passionate team of culinary experts, the restaurant takes pride in its bespoke ingredients, some of which have been exclusively grown for its menu. 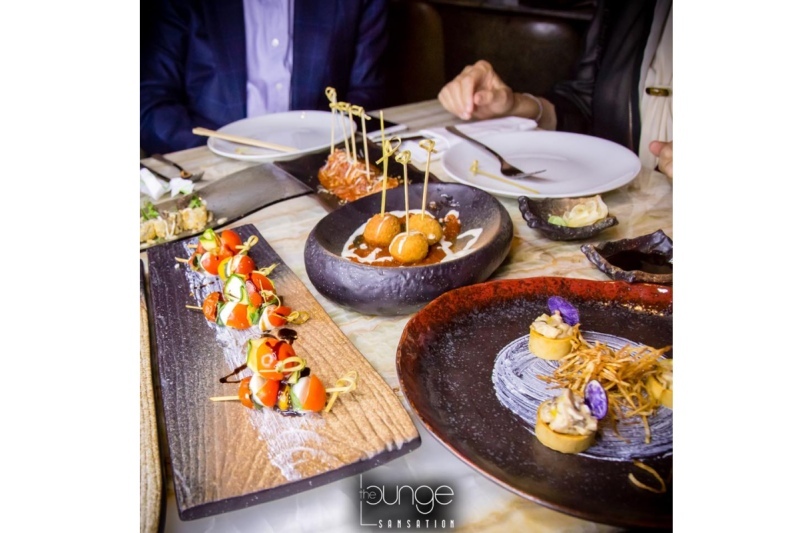 Instead of sake, pair your sushi with The Lounge Dubai's highly sought-after hookah. MenuPages.ae recommends: Spicy yellowfin tuna and the tataki wagyu sushi roll. Good to know: Enjoy your dinner with a side serving of gorgeous downtown views. 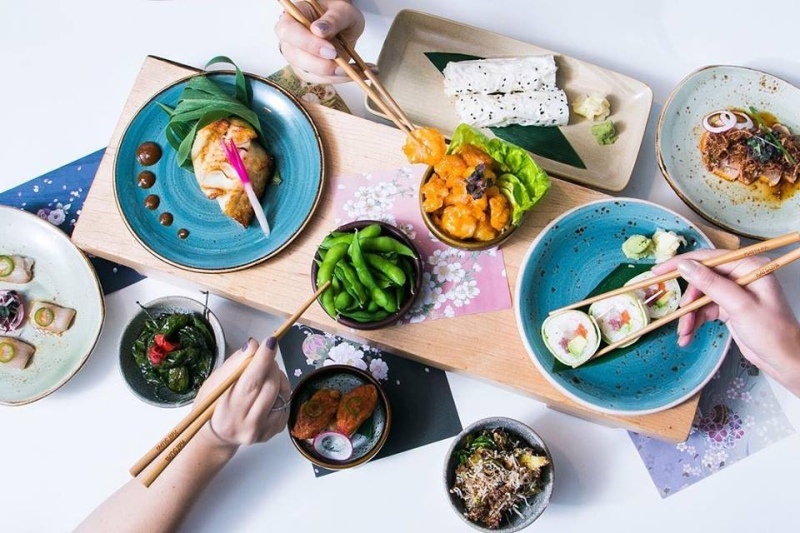 Serving up belly-busting Japanese and Korean dishes at pocket-friendly prices, Miyabi is a family-friendly eatery cropping up all over Dubai. Ideal for anything from a business lunch to a social catch up over dinner, its casual vibe will make you feel right at home. Miyabi promises to leave you feeling pampered with its signature service glowing with quintessential Asian warmth. 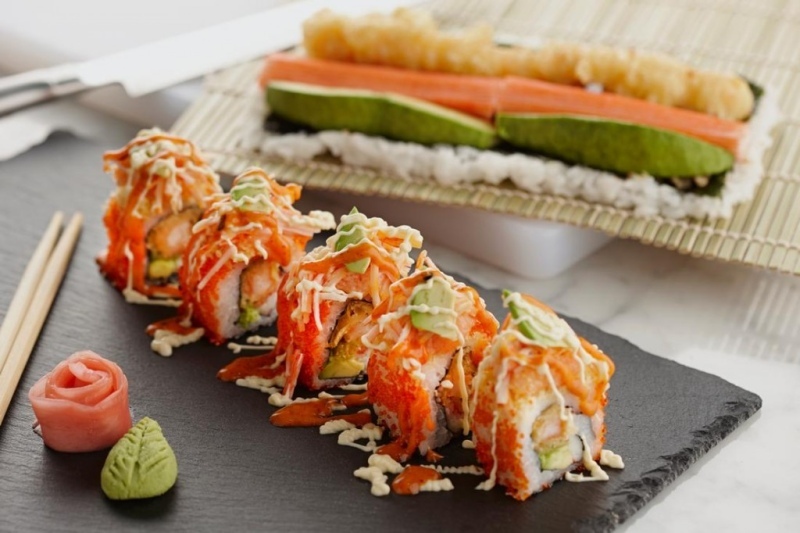 MenuPages.ae recommends: Miyabi Love Boat, Godzilla sushi roll, and the Mango Twist Roll. Good to know: Enjoy sushi by the sea at Miyabi's latest branch launched at La Mer. If there's anything more phenomenal than the food at this restaurant, it would have to be the view of the Burj Khalifa. Sample a classic slice of Dubai nightlife here featuring a fine balance of bespoke eats and trendy music. Depending on whether you dine for comfort or adventure, Armani/Hashi's menu offers an engaging mix of conventional and contemporary Japanese dishes. MenuPages.ae recommends: Sashimi to iso and the kuruma ebi sushi. Good to know: Armani/Hashi is an ideal venue for date night. Known for its brilliant seafood offerings, Wakame's concept revolves around sushi and dim sum. Catering classic Asian hospitality, the kitchen crew's primary objective is to feed you up! The Wakame experience promises to evoke all five senses with menu items relying on innovative and vibrant dishes. Come to Wakame for the sushi, stay for the fantastic ambiance. MenuPages.ae recommends: Lobster specialty maki and the unagi nigiri. Good to know: Wakame hosts a grape pairing night every Wednesday. Indulge in a five-course meal with a side of wine for 275 dirhams per guest. With Peruvian and Japanese flavors often mingling, Moshi puts its own spin on this with Nepalese and Japanese fused delicacies. Throwing more fun into the mix, its menu features legendary combinations like cheese and Chips Oman sushi rolls! 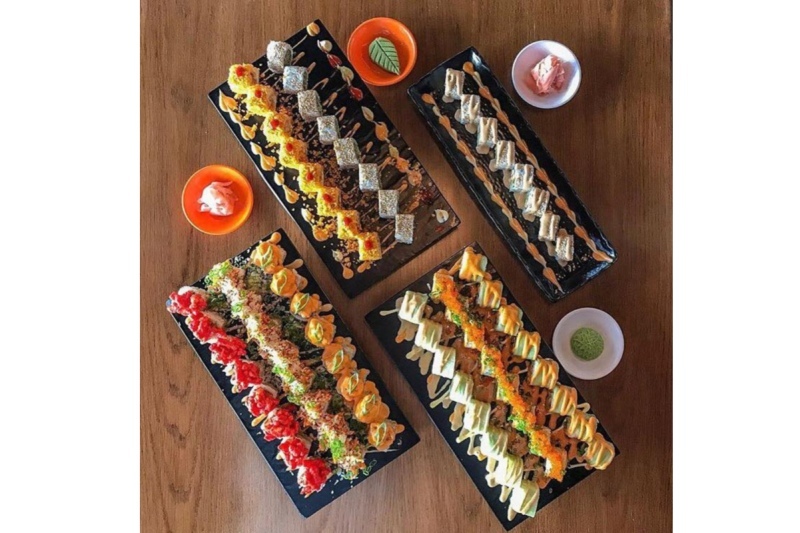 Tailored to set your Instagram on fire, Moshi dishes out quirky momo and sushi dishes loaded with creativity. MenuPages.ae recommends: Falafel nigiri and the cheese and Chips Oman maki roll. Good to know: Moshi has an extensive range of options for vegans and vegetarians.